An in-home, oxygenating and recovery mask designed to boost luminosity and reinvigorate skin in just minutes. This luminizing mask helps lessen the look of fatigued skin. It works to provide tired, dull, lackluster skin with a revitalized, illuminated, and re-energized appearance. It also helps smooth the signs of fine lines. The potent formula was inspired by the most popular facial in Dr. Brandt's practice and takes just minutes for full effect. A truly unique sensorial experience, the silky lotion transforms into a veil of pure energy on skin: Tiny spheres of pure oxygen 'bubble up' and activate to help skin breathe, while simultaneously releasing stress. Skin is wonderfully invigorated, signs of fatigue erased. Ideal for all skin types. Step 1: Apply a thin layer to clean, damp skin whenever your skin feels lifeless. Do not rub in. Step 2: Leave on for three to five minutes, allowing oxygen spheres to fully activate. Step 3: Rinse thoroughly with warm water and pat dry. 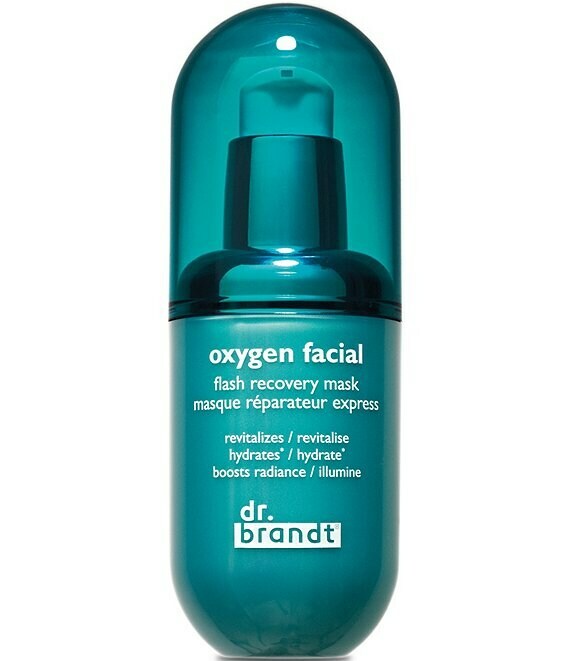 Follow with your favorite Dr. Brandt serum and moisturizer. For best results, use two or three times a week.